Why study math for consulting? Professional math instructor teaching everything from middle-school math problems to advanced math phd courses. Math PhD student at MSU. Co-developed the course with Victor Rogulenko based on ultimate management consulting requirements. A lot of problem solving practice, which will remind you of your last years at school, but it's only the beginning. The course is concentrated on practice, which is very important to pass PST. The instructor explains difficult concepts in simple language, and helps individually.  I should also note that Fless team is very responsive to questions and demands, and really work on improving their courses! Class structure: Acquaintance of the group with the instructor. Introduction to the structure of the course. The course was developed specifically for the purposes of consulting preparation. The course complements the PST prep and Verbal GMAT courses (helps increase your calculation speed and improve correctness) and improves mental math necessary for case interview. We currently offer two options: direct payment by bank details or PayPal. Payment by credit card should be available by autumn 2019. What to do if the schedule doesn't suit? If your test is scheduled before the course ends. No problem, you can accelerate your prep, we will grant access to materials and provide video recordings of previous groups. Do note, that simply listening to video recordings is less effective than participating in class discussions, so it would be great if you could participate in at least some part of the course. If the course starts in a month, but you want to start practice now. Sure, we can open access to materials early. Once classroom discussions start, you will have done a lot of homework and tests and would have a lot of insights to share with your colleagues. Yes. This course is targeted at developing your mental math which will be useful for any case interview in any consultancy, BCG's potential test, and GMAT/GRE. Oliver Wyman test requires advanced knowledge of mathematics, so this course would not be sufficient. Can I buy your book? No, unfortunately. Our courses are targeted at instruction and mentorship, as well as preparation in a group of likeminded candidates for extra inspiration and motivation. If you only want to practice solving equations on your own, please visit websites of ConsultingGuru, MConsultingPrep, IGotAnOffer, Victor Cheng and others, who have math problems available for purchase online.